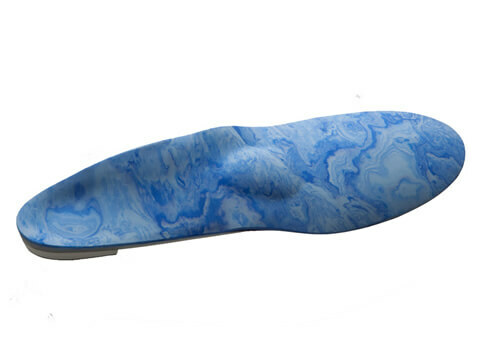 Fibroma & Neuroma | Marathon Orthotics, Inc.
An easy solution for Fibromas and Neuromas, at no additional cost to you. This functional Pronation Control/Sport Orthotic eases the discomfort associated with a Fibroma by off-loading that area on the plantar surface of the foot. Check Cut-Outs in the Accommodations section of the prescription order form. Please illustrate the location of the cut-outs on the foot diagram located on the prescription order form. When selecting your top cover combination, be sure to include a 1/8” mid-layer to aid in making a depression for the Fibroma. 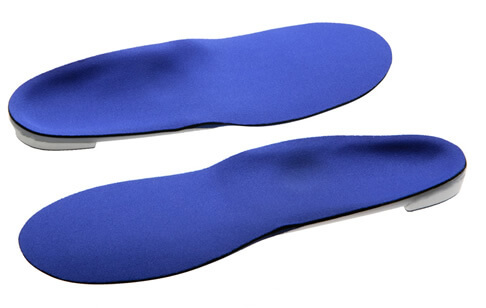 This functional Pronation Control/Sport Orthotic splays the interspace, lessening the discomfort caused by a Neuroma. This is accomplished by adding a high metatarsal pad placed aggressively distal and centered directly behind the Neuroma. On the prescription order form, please indicate that the orthotic is for a Neuroma, check the high met pads and write distal in the margin to the left of the met pads on the prescription order form.